Setting up your district or school with Google Play for Edu through Google Admin offers great power for teachers and their classrooms. 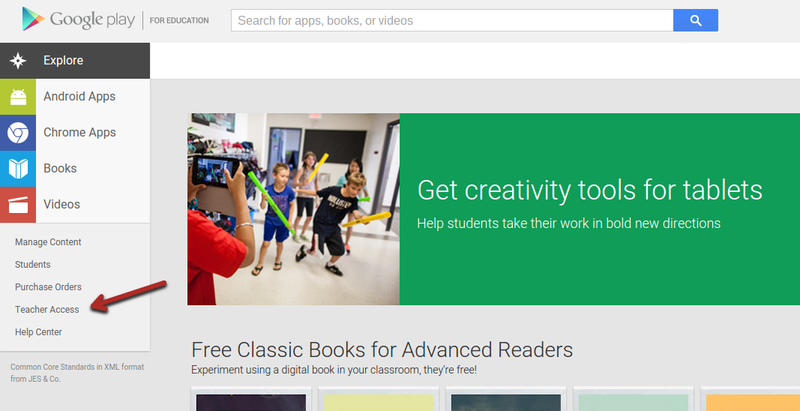 With Google Play for Edu, you have the give teacher ownership of pushing out apps, books, videos. It is very easy to setup and yields great results for the classrooms, especially if you do not want to add additional building level admins in Google Admin Console. 1. 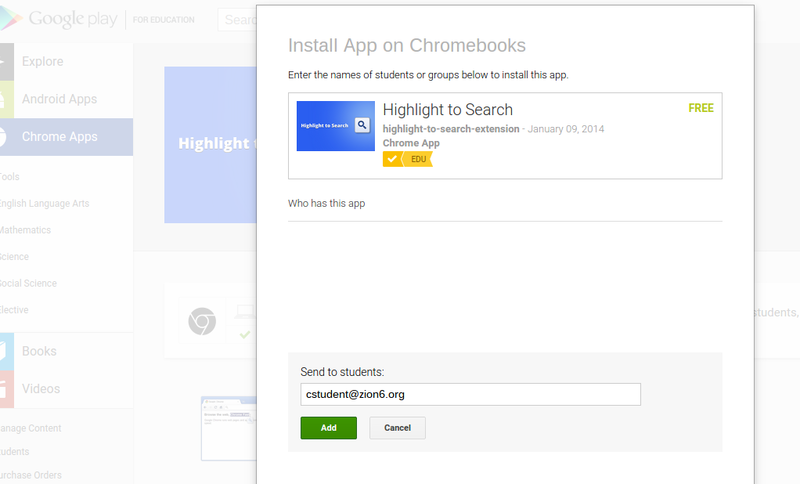 Super Admin allows play.google.com/edu for your GAFE domain. 2. The same admin gives permission to the classroom teachers. Simply click Teacher Access and enter in the emails of the individuals you are granting access. Note: you may want to pilot this with a few teachers. 3. These teachers can now locate any App, Extension, Book, Video and send it to all students in their class(es) or to specific individuals. Note: let’s stop for a minute and reflect on this. This means students who have special needs, need additional content, exploring more than just the curriculum (Genius Hour) now have the ability to get the apps sent to them without having to send a request to their district/school level domain admin. Now that’s an amazing and powerful tool to have for all classroom teachers.